What is the Rookie Program? The Rookie Program was developed to assist with the education and retention of our 13 to 14 year old members through a structured development program. You become a First Year Rookie when you achieve your Surf Rescue Certificate at the age of 13 years (Under 14). On passing assessment you attend at Graduation and receive your Youth Program Passport, Patrol Shirt, Shorts, Red & Yellow 3/4 Cap and sunhat. This all happens at your club and you are recognised by your peers. It is hoped that the Under 14 members would then have a smooth transition to Seniors, whilst the club observes member retention and youth development. 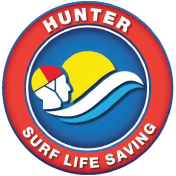 This fantastic program aims to provide a smooth transition from Nippers to Senior lifesaving, gives you hands on beach & patrol experience, teaches you essential rescue and lifesaving skills in a fun environment and lifestyle and `bridges the gap’ between Surf Rescue Certificate and Bronze Medallion award candidates. This course has a focus NOT on competition but personal development, social get- togethers and lifesaving. Club patrols will become more efficient as patrol members become involved with the development of juniors whilst on patrol.